Tim Mahoney founded Mahoney Media Group, Inc. (MMG) in 1989. MMG focused its business on television and video production for regional and national companies. In 2014 Tim founded Thinking Man Films & Media as an international documentary & publishing company with a focus on education and the Bible. including the Billy Graham Association, World Wide Pictures, and Compassion International. Christian Visual Media Association (ICVM). investigate the events of the biblical Exodus. engages the world in a conversation. themselves if the Bible is real history or myth. Film Festival in New York. There is a Supplemental resources associated with the film include a nearly 400-page hardcover book, small group Bible study, Movie Event kit, youth version (called Young Explorers), homeschool curriculum and others. 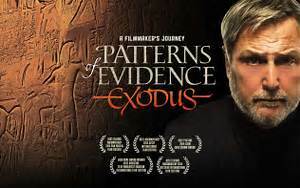 Enter Below for your chance to win a copy of Patterns Of Evidence DVD!! You can purchase a copy HERE use code MK1 for $3 off the DVD price which retails for $19.95.